Manufacturing has been the foundation of the American economy and a powerful driver of innovation and entrepreneurship since the days of the Industrial Revolution. Today, manufacturing has moved far beyond its roots to encompass a diverse array of technologies and processes for making everything from lightweight vehicles to engineered tissue. WPI, which has been contributing new ideas, new technologies, and new talent to drive the evolution of manufacturing since its founding in 1865, is today playing a pivotal role in a new advanced manufacturing revolution. WPI was established more than 150 years ago to generate the human and intellectual capital required to help transform the United States into a manufacturing powerhouse. True to our founding mission—to prepare students to put theory into impactful practice—our approach to manufacturing education and research has always had a distinct practical focus. Our graduates have founded and led manufacturing businesses of all kinds, while innovations from our labs have not only made existing industries more competitive, but have helped create and build whole new industries. Fast forward to today, and the Institute is continuing to help drive the evolution of manufacturing. WPI is a member of nine of the 14 Manufacturing USA institutes. Manufacturing USA, “connects people, ideas, and technology to solve industry-relevant advanced manufacturing challenges.” Learn more. Faculty inspire the next generation of great minds to find ways to propel manufacturing in our degrees and certificate programs. 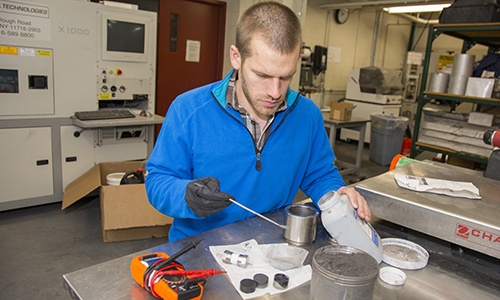 For example, Aaron Birt, PhD, who was named one of Advanced Manufacturing's 30 Under 30 (2016), has excelled at identifying innovative technologies and integrating them into existing processes to increase efficiency or effectiveness. A graduate in materials science and engineering, he is also a co-founder of the lithium-ion battery start-up Kinetic Batteries and was named to Forbes “30 under 30” list for manufacturing and industry (2017). Manufacturing has been part of WPI’s core since our founding. WPI was among the first universities in the U.S. to incorporate project-based learning in its undergraduate curriculum, requiring students to apply their acquired skills, knowledge, and abilities to develop real world solutions. 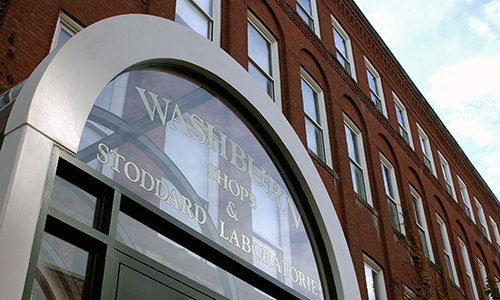 Early students put theory into practice in the Washburn Shops—a working manufacturing plant. Now the oldest building in the U.S. dedicated to engineering education, the Shops houses research and education programs and labs dedicated to advancing modern manufacturing. 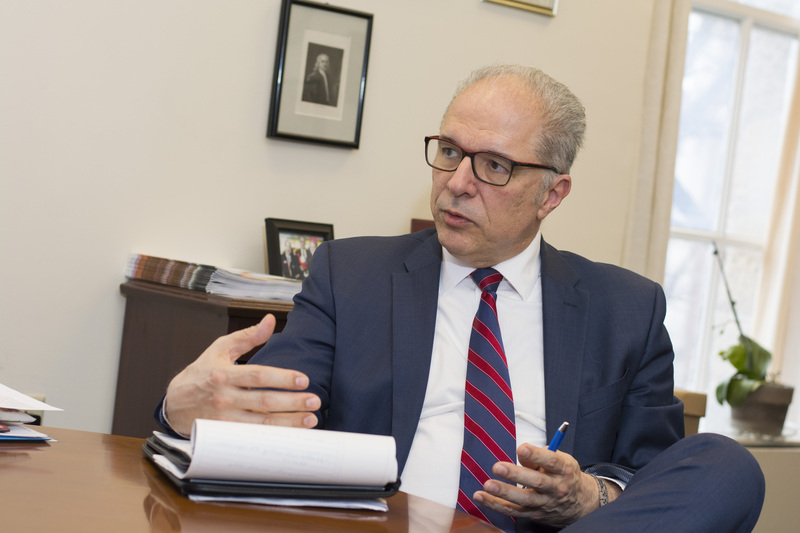 The Daily Herd sat down with Bogdan Vernescu, Vice Provost for Research, to discuss the changing face of a manufacturing economy, WPI’s involvement in Manufacturing USA, and the future of manufacturing in the United States. 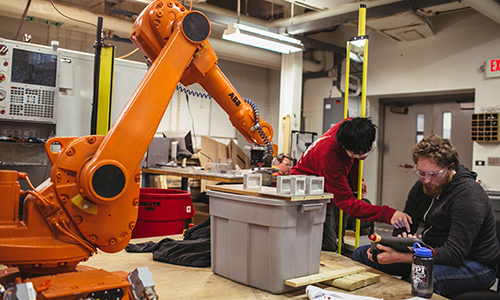 In a guest column in Smart Manufacturing, Bogdan Vernescu, vice provost for research, says more U.S. funds are needed to address a workforce skills gap. Biomanufacturing harnesses the extraordinary advances of biotechnology and regenerative medicine to produce new kinds of therapies. 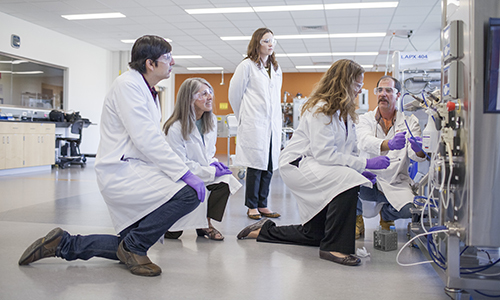 WPI, a leader in research and education in this emerging field, offers symposia that brings together industry and academia to review new technologies, process developments, and research findings—and to share experiences, insights, and operational challenges the field is facing. With more than 12 million jobs at stake and 11.8% of our GDP comprised by manufacturing (source: NIST), manufacturers need to understand key industry challenges and develop sustainable solutions to stay competitive. With NSF funding, WPI launched the Center for Advanced Research in Drying (CARD) to address this issue and develop new technologies that will help companies save energy and produce better products. For information about WPI and its involvement in any of the Manufacturing USA initiatives, contact Andy Baron, Senior Manager of Trade Communications for University Marketing and Communications.